5/24/2015 – When Davide Nastasio had a first look at the new ChessBase Magazine #165 he was overwhelmed. 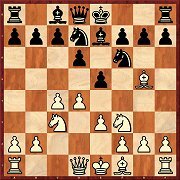 So much material to choose from: tactics training, high class analyses of top level games, tournament reports from top tournaments, videos, annotated games, endgame lessons, opening articles, etc., etc. No wonder the passionate chessplayer felt like a kid in a candy store. Thanks to the special offer on discount day (May 19 2015), I've subscribed to ChessBase Magazine and ChessBase Extra, for one entire year! I thought I've reached the moment I need a magazine to further my growth as chess player, and who else in the field of chess could give me what I wanted? I had high expectations, but Chessbase, once more, went over and beyond! First of all I didn't want to wait months to receive it through mail, so I subscribed to the online edition, which I downloaded on my computer, about 4 GB of material! Once installed, I opened it, and found an incredible variety of materials inside, I likely wasted twenty minutes just going back and forth on what I wanted to do first. The first menu, Content, lists all the materials inside. In the beginning there is an introductory video by GM Müller. After there is CBM TEST! Now the normal tactic training would ask you to find the best move, and we are all bored to death by that! Here instead they used a very sophisticated method. The first position was quite intriguing, it showed me a possible continuation I had to visualize, and then in the end asked me a question to which there were multiple answers, so only if I visualized correctly I could answer. 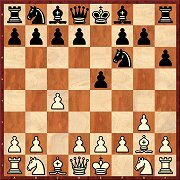 Now the idea is great (and was also the topic of an article of famous coach Dan Heisman), because it emulates a real game, and the decisions we must take in it, plus in order to answer correctly I had to visualize a sequence of 4 moves, and then guess which would be the fifth! in that tournament, many of which annotated. plus a video by Daniel King on the game he liked more. Then another article, with all the games on the Grenke Chess Classic in Baden Baden. This was particularly great, because there were seven videos made by Daniel King, with the most interesting moments of the games, plus of course all the games of the tournament, many of which annotated. By this point many can understand that with just this issue, they are receiving more than three books on tournaments! After that another tournament! Tata Steel 2015, also here a complete video journal on the most exciting moments, made in many different videos by Daniel King! I'd like to notice that, if I counted correctly there are more than 50 annotated games in a tournament with 90 games. In this tournament not only Daniel King analyzed many games, but also the former world champion Kasimdzhanov analyzed three games in three videos. Now I could continue to enumerate all the tournaments, which are enclosed in this issue of Chessbase Magazine, but I don't want to spoil the pleasure for the future reader to discover it too. 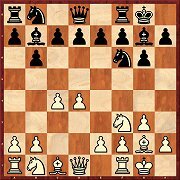 Try to find the next move for Black, which is a very sharp, energetic move. 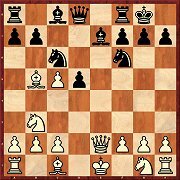 That game was won by Black, and it is totally worth the price of the DVD, just for the amount of work one is obliged to do, a true workout. Because to do the entire game, it took me more than one hour, maybe even one and a half hour, and it was like to be in the place of one of these giants of the chessboard. Then of course the feedback is great. 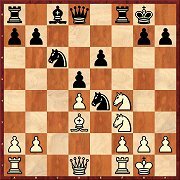 Because when I didn't play the strongest move, Williams would appear in a short videoclip and tell me: "yes this move is good, but not the best, and here is why..." A book cannot do this. A computer cannot do this. But there is also the advantage to mix technology and wood. I followed this game on my wooden board, and since Chessbase magazine can be stored anywhere, I put it on my tablet. 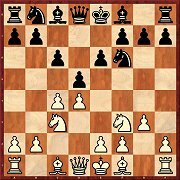 Then I would just set the timer for 10 minutes, for the moves I had to guess, and after 10 minutes I would write my analysis down on paper to compare it with the analysis given by GM Williams. You cannot imagine the satisfaction of finding the moves of a 2700 rated player. That of course was the point of writing down the analysis. 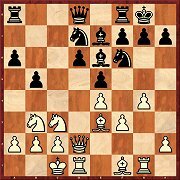 If I just guess, I can be lucky, but if my analysis corresponds to what GM Williams shows, then I know I'm on the right track in evaluating, understanding and choosing the right candidate moves for any position (because I'm not a Sicilian Najdorf player). 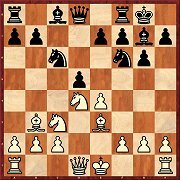 However, I didn't always get the right move, and the words of GM Williams were those of an expert coach who helped me think in the right direction. 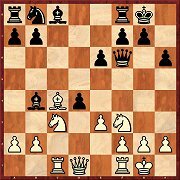 In one case it was particularly enlightening as experience because Williams says: "If you could magically put that bishop anywhere on the board, where would it be?" 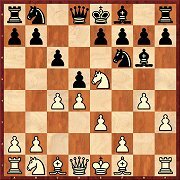 Can you guess where the bishop should go, and why? 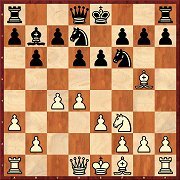 In any case, GM Williams has created 10 video clips with questions upon how to continue in critical moments, plus many other video clips to explain the game move by move, and of course there are many other video clips for the feedback of the correct moves or the possible ones, which weren't played in the game. All in all, a really great training, and I'm looking forward to the next issue of Chessbase Magazine. The magazine has really too many features to mention, from the opening articles, to videos on the latest opening novelties, endgame training, tactics training, strategy training, etc. I believe they could just make an issue every three months, instead of two, because the material is definitely too much for a simple amateur, and especially the quality of the material is higher than in any magazine I've ever seen. I'm amazed by this ChessBase product, because it is like to have a Grandmaster at home, training you, and asking questions. And then let's speak about the price, for the price of approximately two hours of GM training, I do get the ChessBase magazine for one year - plus extras! Which means endless hours of training. In this issue there were about 1900+ games of 2500+ rated players, and in the extra issue I found 18,000 games! Not to mention the opening articles, which give an edge in opening theory. One article, inside the ChessBase Magazine Extra, was particularly interesting to me, because it taught a way to neutralize the Dutch - and being a Dutch player, I had to understand what I could face in the next tournament!